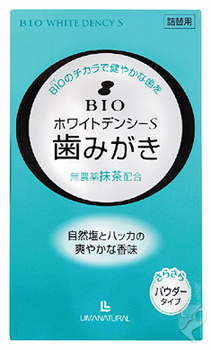 -New type toothpaste, BIO cleansing ingredient generated through fermentation process. -Blends domestically grown "Matcha", or a stoneground Japanese green tea. -No surfactant, Preservative, Synthetic fragrance used. -Less in quantity than paste toothbrush. -Apply an adequate amount onto dry toothbrush. Shelf life: 3 years at room temperature.